Perfect for young buccaneers! 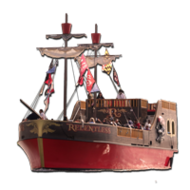 Choose your activities to make the best adventure in our Pirate Party Room located in Fells Point. 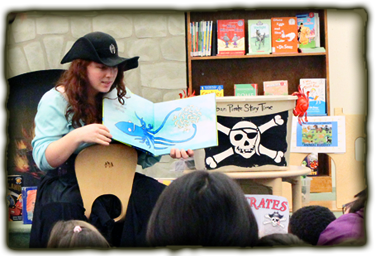 Throughout the winter months Urban Pirates puts on a series of Free Pirate Story Times at public libraries around Baltimore. Come enjoy the songs, games, and stories for young buccaneers. One hour of games and activities and 45 minutes for food and cake. Each party goer will be dressed up like a pirate, given a pirate tattoo and name. Pirate Story Time - Pirate stories, games, and songs. Pirate School - Learn how to talk, dance, play games, and tie knots like a pirate. Pirate Craft Time - A unique craft that each child can create and decorate themselves. At the end of each party each pirate will get their choice of treasure. exclusively for food and cake. - The tables and benches, plates, cups, napkins, forks, and serving utensils. 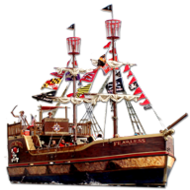 - Party room pirate decorations and balloons. 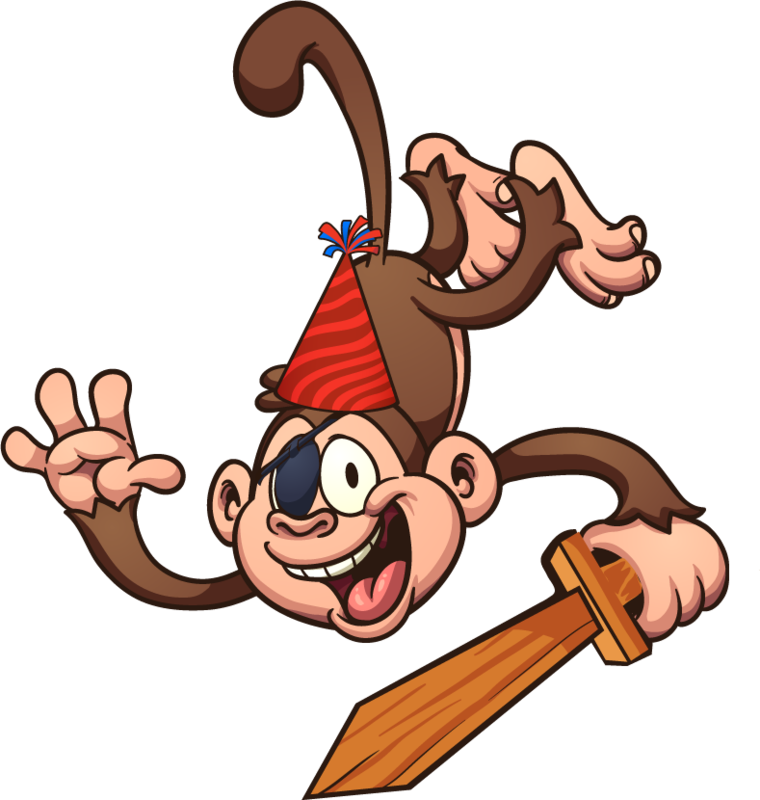 - A 'Party Pirate' will lead your guests in a rousing pirate birthday song, cut and serve the cake and food so you are able to sit back, relax, and focus on your pirates’ special day. We will refrigerate and store your food, cake, and presents and will clean up everything at the end of the party. - Any food, cake, and beverages of your choice. 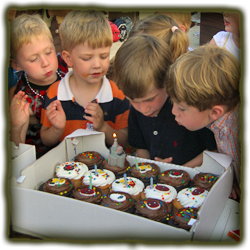 Additional guests can be added to packages, all children attending the party must be paid for. Adults may attend for free, but space is limited based on the number of party guests. Pirate party favors are available at our dock shop for $1 to $15 each. Prices do not include 10% Baltimore A&A Tax. Additional activities can be added for an additional fee, call for details.